During this month of Thanksgiving, We have been reflecting on the things we are most grateful for this year. Primary among them is our talented group of agents and our clients. Thank you for the work you do to make our agency great. You help us provide valued services to our clients. Without your commitment, creativity, and high standards, we would not be the thriving company we are. We are very grateful for your efforts. To our valued customers, we want thank you for your remarkable patronage and for letting our company provide what you really deserve. 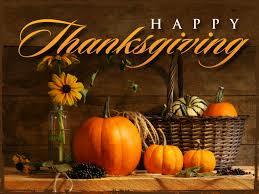 We wish you a Thanksgiving filled with abundance and bright moments. This entry was posted in Real Estate on November 24, 2016 by Mike.